Over the past several days, however, California’s marijuana regulators have sought to clarify their regulations so they no longer appear to conflict. 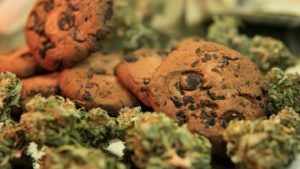 “The good news is, this gives more leeway for passing edibles products,” said Swetha Kaul, the chief scientific officer at Santa Ana-based Cannalysis Labs. 1. MJ edibles businesses’ concerns revolved around seemingly conflicting rules released by the California Department of Public Health (CDPH) and the Bureau of Cannabis Control (BCC). The CDPH stipulated that single-serving edibles products cannot exceed 10 milligrams of THC and packages of edibles could not exceed 100 milligrams of THC. By contrast, the BCC allowed edibles products to pass potency tests if their THC content varied by 10% from the legal limit. That means, for example, a single-serve edible with 10 milligrams of THC would pass BCC muster if it tested for 11 milligrams of THC. To address the confusion, the BCC reiterated its rules on Tuesday. The CDPH then weighed in on Feb. 5, in effect saying its rules also give edibles makers some wiggle room because the THC limit can vary within that 10% band. “Nothing in the (CDPH’s) regulations prohibits a compliant product that is labeled within the THC limits and that passes testing within the variance established by the BCC from proceeding to market,” the CDPH said in a statement to Marijuana Business Daily. 2. Testing labs received some clarity on the rules. With the two agencies’ statements, the state appears to have made its rules around THC limits more straightforward, and that’s especially useful for testing labs. Before the CDPH statement Tuesday, labs passed or failed products based on differing interpretations of the rules. Two laboratories, for example, told MJBizDaily via email that they regularly pass edibles products that tested within the 10% potency range. A third lab, however, said it failed edibles products that tested above 10 milligrams of THC in a single serving or 100 milligrams of THC in a package. Since Tuesday, however, some marijuana edibles companies and the labs that serve them have indicated they feel more sure about the rules around testing as they apply to THC variance. While welcoming the latest clarification, Cannalysis Labs’ Kaul did note the health department’s response still left some questions unanswered – especially as they apply to distributors of edibles and infused beverages. The rules allow distributors to label products after they’ve been tested. But, the BCC and CDPH haven’t clarified whether distributors are allowed to label products with amounts of THC that exceed 10 or 100 milligrams. 3. Are product liability lawsuits still coming? Despite regulators’ latest efforts, infused product manufacturers still face the threat of product-liability lawsuits over THC limits governing their goods, according to Pamela Epstein, CEO of Los Angeles-based Green Wise Consulting and the founder and managing shareholder of Green Wise Legal. As a result, Epstein predicted, increased consumption of edibles – as the products become more mainstream – could unleash more lawsuits. “Reliance on governmental protection for the plus 10% variance is questionable given that the statutory requirement is clear with ‘standardized concentration’ not to exceed 10 milligram doses,” she noted.